Marketplace because of bugs and inconsistent documentation and processes. Which seems to agree that there is a mere “UI issue” in that page to submit addon to the market place and the fix is already “rolled out”. So let us try submitting the addon again. I couldn’t make any sense of the error message either. 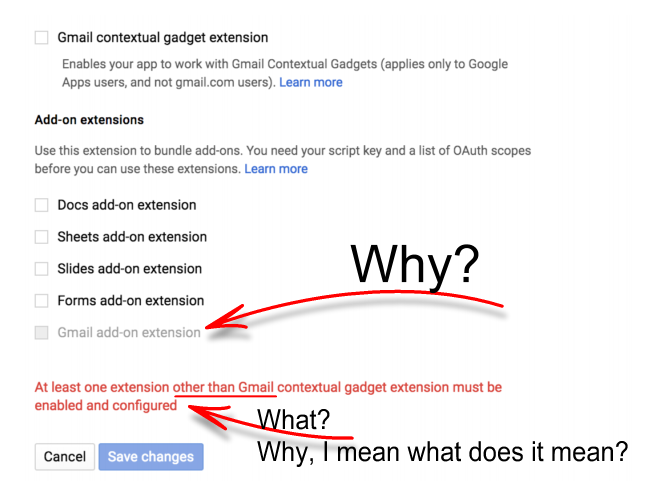 At least one extension other than Gmail? This addon is for gmail and it doesn’t have anything else other than Gmail related features. How/why would I add at least one extension other than Gmail now? In the mean time, you can directly access the Gmail AutoReply App. I’m happy to know. I found a man who has same problem with me. I hope I can share your activity until success.